Another New Release for 2013: Mary Watson's "The Cutting Room"
Mary Watson is a South African author who won the Caine Prize in 2006 for her short story Jungfrau. Watson is the author of Moss, a collection of short stories published in 2004. 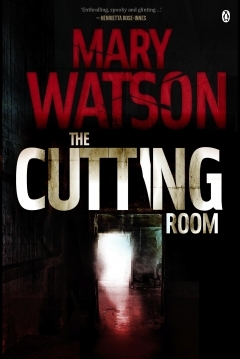 The Cutting Room, published by Penguin Books SA is her debut novel, and will be released in April. When her husband Amir abruptly leaves home, film editor Lucinda is left angry and puzzled. Where has Amir gone, and why? In the months before he left, Amir seemed troubled and preoccupied and their marriage had become strained and tense. Now Lucinda worries that his departure could be her fault. Soon afterwards, Lucinda is brutally assaulted in a knife attack, which throws her even more off balance. Searching for composure, she finds a distraction in assisting an older friend, Austrian film-maker Thomas, with a documentary he is making about an old mission station which is allegedly haunted. But the experience becomes an unnerving one for Lucinda who finds Thomas’s growing obsession with the story behind his film worrying. As tensions build, so does the underlying mood of constant menace, until Lucinda is confronted with a disturbing revelation. The Cutting Room is a thoughtful and provocative novel of loss and loneliness, longing and guilt, and the different ways in which people can be haunted.